Centro Ashé is excited to deepen our offerings for our Grassroots Herbal and Holistic Wellness Program, a community based herbal program. We believe it is as important as ever to continue to work towards putting herbal medicine in the hands of the people! 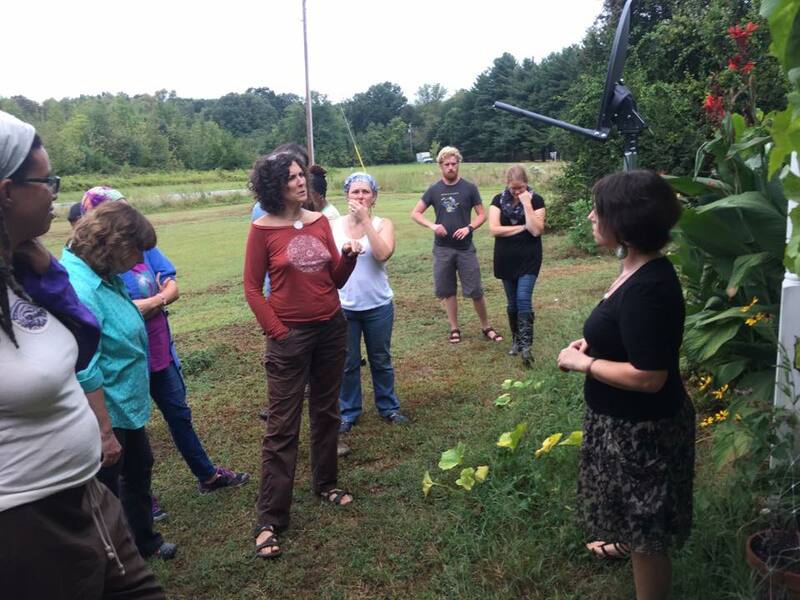 This program offers our community a chance to explore folk herbalism with a second year that is meant to deepen our practice of herbalism. 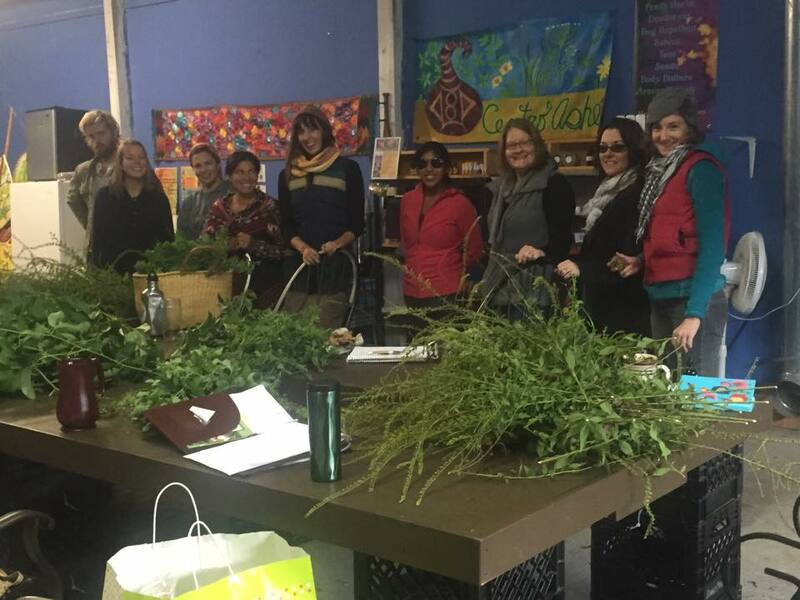 Participants must have either completed our first year of the Grassroots Herbal and Holistic Wellness Program, or have a strong foundation in herbalism. Homework will be assigned between classes. 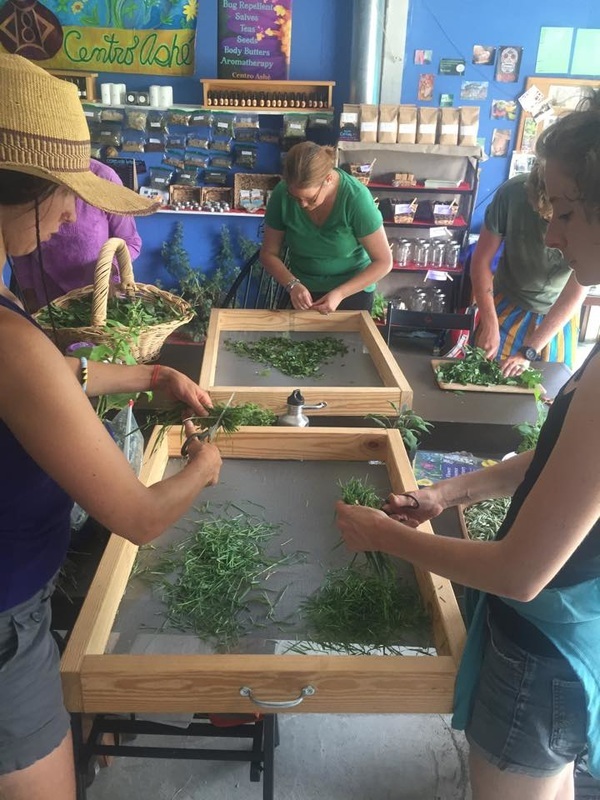 During our Grassroots Herbal Program, we build cooperatively to keep the knowledge of our food, herbal medicine, seeds, and our healing traditions alive and vital within our communities. Our belief is that plant medicine is the people's medicine, everyone of us comes from a lineage of plant people, and this knowledge is our birthright. We are a community rooted educational center, our goal is to keep our classes affordable & accessible while honoring the time, energy, and knowledge our instructors come to share. 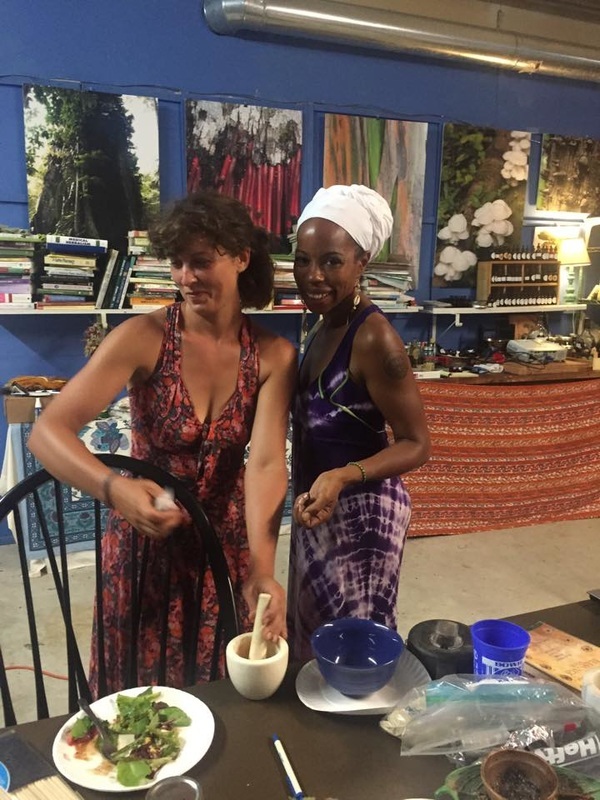 We celebrate the richness and diversity of folk herbalism while providing practical knowledge that can support each of us, our families and communities. We honor the incredible knowledge present within our communities and our teachers are all local herbalists and plant people in the communities we work, the knowledge is right here! 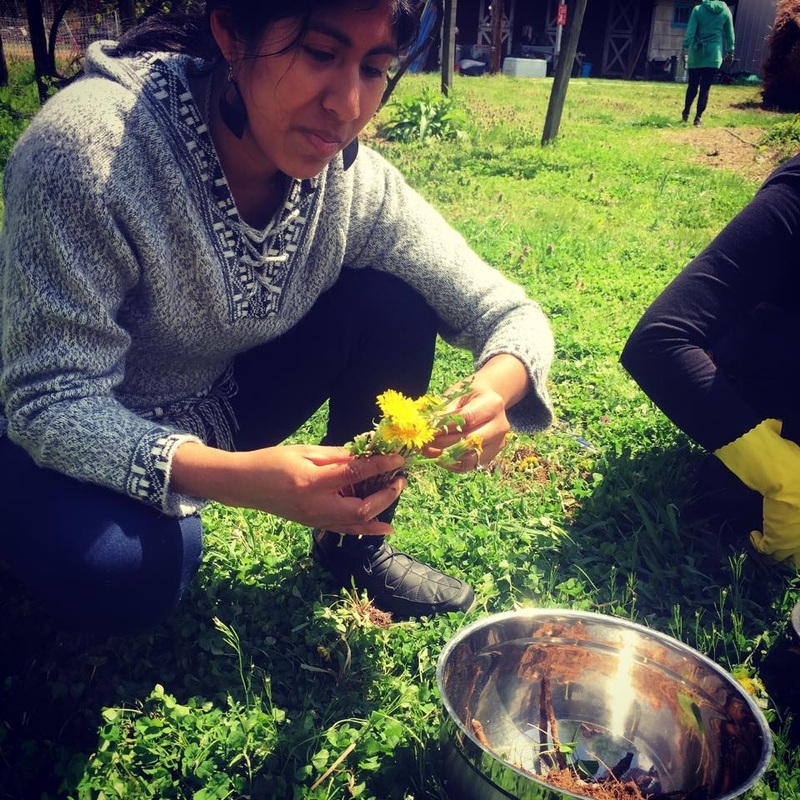 By attending this program you are supporting and are part of this cosmovision, creating alternatives to the dominant paradigm, and you are helping us to provide employment to local herbalists and to keeping our dynamic educational center & teaching gardens running. We thank you for your interest and support, and we look forward to building with you! We ask that students honor the time of each other and our instructors by arriving 15 minutes early to each class. These classes may switch around but dates will remain the same. During this portion of the course we will explore basic anatomy and physiology of each body system and will learn herbs that are oriented towards common conditions associated with the circulatory, nervous, endocrine, respiratory and immune systems! This portion of the class will be home study via power points with a monthly call in for 2.5 hours. All plants contain a complex web of chemical building blocks that work in harmony with one another to support the health of the plant. When taken as medicines, these plant constituents act to help balance our body systems and functions. This class is a quick refresher course in organic chemistry, and a discussion of the ways plant chemicals—from flavonoids to alkaloids to glycosides—become medicine. Herb/Drug interactions Just as the many plant constituents work in harmony to create health, sometimes they can also work with (or against) pharmaceutical drugs, foods, or even one another. Knowing more about these interactions can be important for those who use both herbs and pharmaceuticals to maintain their health, or for the more serious student learning about herbal formulation and compounding. Olivia Fite is a Baltimore city native who first discovered a love for plants through making art with them. Olivia is a graduate of the Masters of Western Herbalism program at the former Tai Sophia. She is in her second year working as a clinical herbalist at the Oherbals apothecary in Baltimore. She also loves spreading the good herb word in workshops for communities far and wide. 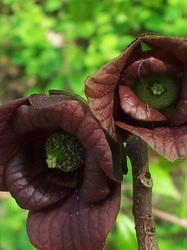 The Green Farmacy Garden is a sanctuary located in Fulton, Maryland of approximately 300 native and non-native species of plants that have been used traditionally and/or researched for medicinal purposes. Retired USDA botanist, James A. Duke, PhD, and his wife, Peggy, have been collecting medicinal plants for over sixty years, and in 1997, they transformed part of their pasture land into a teaching garden highlighting the plants that are featured in Jim’s book, The Green Pharmacy. 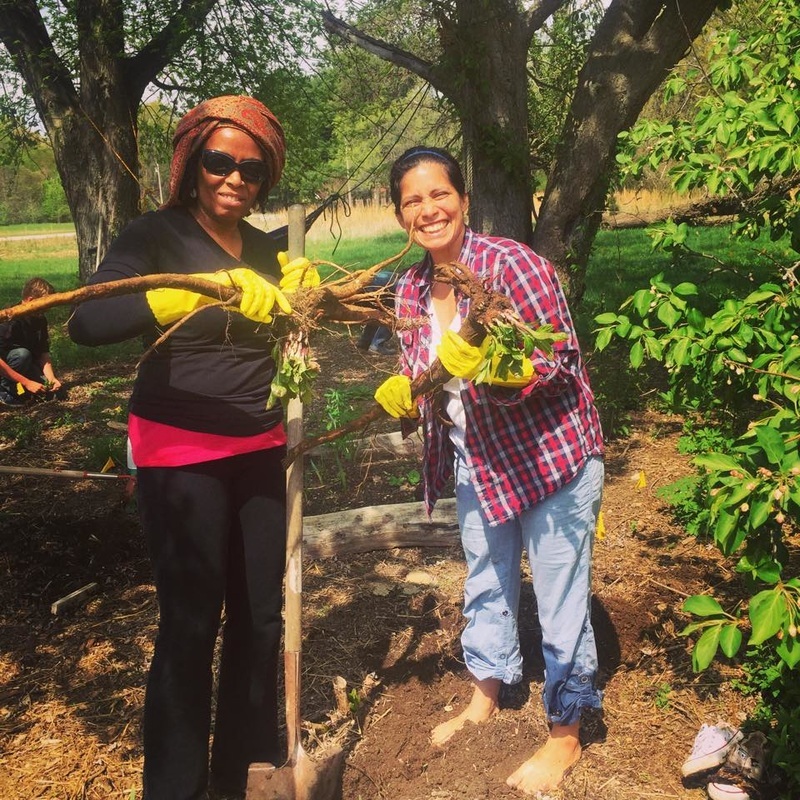 The Green Farmacy Garden is also a part of the United Plant Savers network of sanctuaries around the country, which strive to educate the public and replant native plants that have become at risk or endangered. Helen Lowe Metzman, Director Helen has been employed in Jim Duke’s Green Farmacy Garden since 2006 and the director for the past eight years. In addition to her time spent in the garden, Helen works part time for the Howard County Maryland Department of Recreation and Parks in the Natural Resources Division as a Natural Resource Specialist and an Environmental Educator. The study of natural history, botany, and art has been her lifelong passion, and she is able to integrate these passions in her work in the garden and for Howard County. Helen is a graduate of the University of Vermont and the Tai Sophia Institute’s Master of Science Program in Herbal Medicine. This course will and offer herbal, nutritional, and lifestyle and self care strategies for female health, wellness and managing common complaints. An interactive, educational workshop for those interested in wellness support for men, where herbalist & wholistic healing facilitator, Yuma "Dr. Yew" Bellomee, shares his knowledge and experience on utilizing plant medicine to support and to promote strength and balance in regards to common men's health concerns from a wholistic standpoint. Yuma "Dr. Yew" Bellomee is a Certified Holistic Health Consultant, herbalist, wellness advocate/educator, and musical artist, who has been featured in numerous radio programs, natural hair, health & beauty expos, magazine articles, and community and school programs as a speaker and workshop facilitator on wholistic wellness. He is also the founder of Yew-360 Wholistic Health & Wellness, LLC (www.yew360.com), and a member of the African Wholistic Health Association (AWHA), and the Collective Health Initiative (CHI) in DC. This workshop focuses on recognizing metaphysical contributing factors to health concerns, and using herbs to assist in restoring balance. Dr. Yew and attendees will discuss herbs that work with our energy centers. Participants will be challenged to make the connections between physical ailments, metaphysical associations, and useful herbs to address them. Give This Course As A Gift! We are rooted in providing high quality programming accessible to all therefore we strive to keep our prices as low as possible while at the same time honoring our amazing teachers energy and knowledge. *Please note we are unable to offer worktrade positions for our Year 2 program because it is by nature a small class and tuition is essential in order to pay our incredible faculty! If funding is an issue please contact me to work out a payment plan for after you have placed your deposits! Please note space is limited in the class, and the class will be filled on a first come first serve basis. In order to secure your spot a non-refundable, non-transferable deposit of $250 is required. We are not able to offer discounted rates to those who have conflicts during the program. Please take the time to answer the questions below so that we can learn more about you. 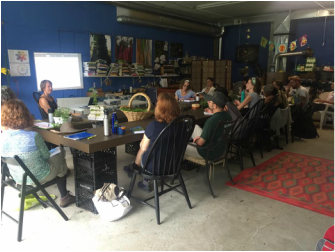 Have you completed the Year 1 Grassroots Herbal and Holistic Wellness program, if not please describe your current knowledge base and history with herbal medicine. What are you most looking forward to learning during this course? What are your desires and expectations? Please take some time to tell us about yourself, and to ask any questions that you have regarding this course. By signing up for the course you agree to attend all classes in order to receive your certificate of completion. You agree to pay in full, all payments are final and no refunds/transfers will be issued for any reason. Worktrades are essentially not possible with Year 2 as we usually tend to have just enough participants in order to pay our staff and costs. We do offer one position. ​In an effort to make our programs accessible to all we do offer a partial worktrade option for this course. No discounts, buddy or group pricing is available for the worktrade option. There are very few worktrade positions available and these tend to fill up very fast. As far as worktrades, please note that we are not a funded organization, we truly rely on income from registration fees in order to keep producing quality programs, worktrades are created and reserved for those who truly face financial hardship and do not have the resources to afford full registration fees. We do not ask details about applicants personal financial situations as we trust folks will honor making sure these limited spots are open to those who need them. Worktrades must attend all worktrade days as listed below, one emergency is permitted however if if you miss one worktrade you must make that up within one week OR a payment of $90 (the amount each work trade day is worth) can be submitted within one week. Missing worktrades (other than in emergency as listed above) results in that student loosing their worktrade position and will need to pay full tuition for the course. If you for any reason drop out of the course you still owe the remainder of the tuition as we rely on our worktrades for this help and by giving you the position someone else who has applied will not have this chance. By signing up for the worktrade you agree fully to the terms listed above. We have one worktrade available for someone willing to come and deep clean our classroom and set up our classrooms before and after class each month in exchange for reduced tuition for our program. This includes seting up our tea and water, doing dishes, cleaning floors, surfaces, organizing and other tasks as needed. Highly motivated, and organized individuals for this position. This person comes 1 hour before class and stays 1 hour 20 minutes after each class for a total of 6 hours of service each month. By signing up for this worktrade you agree to for pay $658 for the course plus work a total of 20 hours as described above (you are trading at $15 an hour). If you sign up for this worktrade you agree to come on these days and times, if you miss a weekend for any reason you will need to pay $90 within one week of the missed worktrade day.